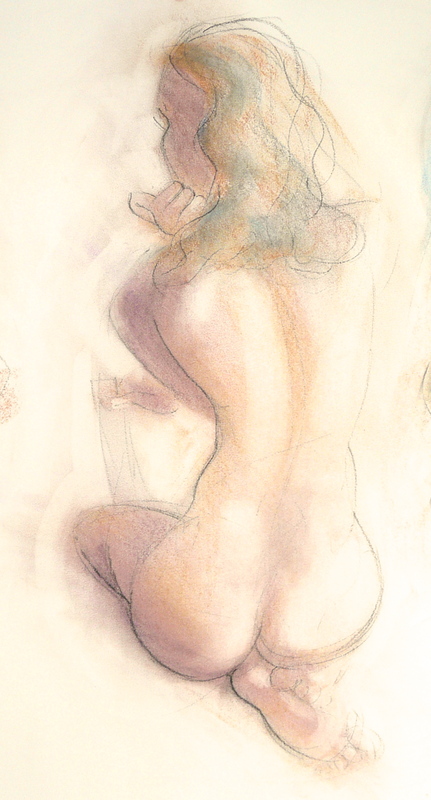 Had a good day at Basso yesterday, beautiful model and a one hour pose [right] so I got out my richer pastels to do a study. Left one is a 10 minute special. Last bit of local drawing for a while as I am off to Bali on Monday for 2 weeks of studio and outdoor work around Pondok Saraswati and with the Pranoto Studios. Sigh. These things must be done. Thanks also for all of the great comments about the new site, much appreciated.